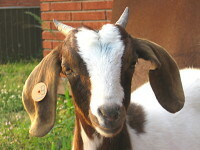 Goats are our staple red meat. 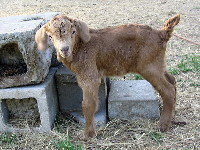 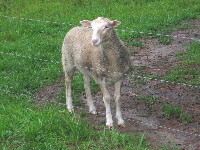 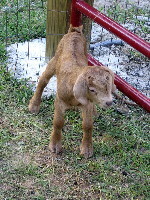 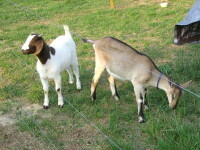 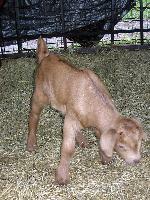 We started raising goats in 2005, with two pure-bred does: an Alpine (Nermal) and a Boer (Lilly). 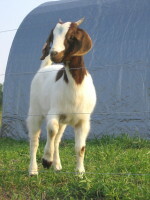 Lilly was mated with an unrelated pure-bred Alpine buck the first season, producing our first farm-born goat, a male named Hector. 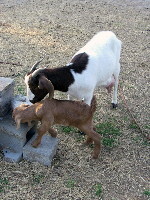 The next season, Nermal was mated with an unrelated pure-bred Alpine buck, producing two males named Bacchus and Pan, and Lilly was mated with Hector, producing a male and female named Tootsie and Epona. 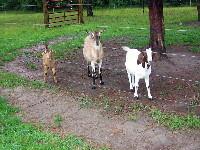 This collection of goats was the genesis of our herd. 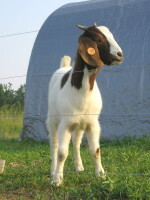 In 2014 we refreshed our bloodline by bringing in an unrelated Alpine buck, Gruff; he was born in January of 2014 and was the sole sire for all of the goats born in 2015, 2016 and 2017.